Walt Disney World Family suites; are they worth the cost? 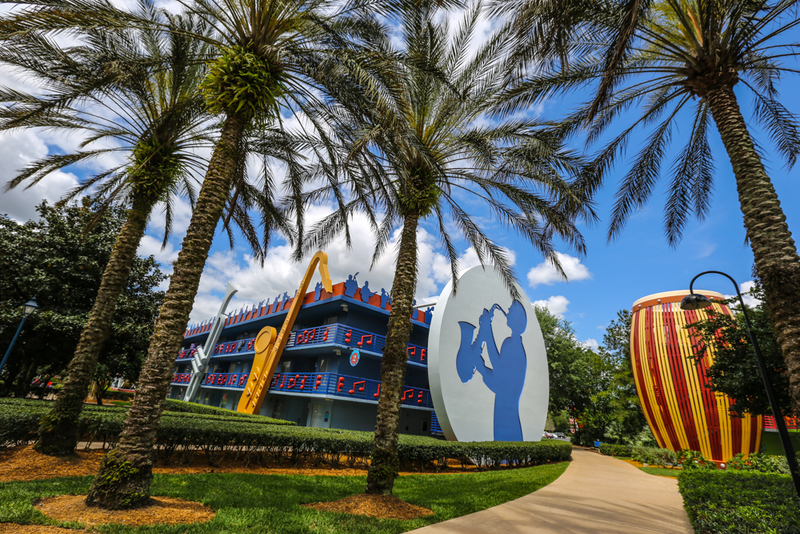 The Walt Disney World Resort in Florida offers family suites at two of their value resorts, Disney’s All Star Music Resort and Disney’s Art of Animation Resort. These suites can accommodate up to 6 people each (plus one infant in a pack and play) and can be wonderful for larger families on a budget. However, I discovered on a recent trip that they also can be a great option for smaller parties looking for more space. These family suites offer 520-565 square feet of space, and are much larger than many hotel chains that advertise a family suite that’s really just one room with a sofa bed and a fridge. Suites at Disney’s Art of Animation Resort include a bedroom with a queen bed and bathroom, a living area with a double sleeper sofa, kitchen area with microwave, refrigerator, coffee maker, sink and cupboards with paper dishware. There’s also a separate area off the living room with a table and four chairs, and a double table bed that pulls down from the wall, and a second bathroom. Rooms are decorated in different themes, you can choose from Lion King or Cars Family Suites at the lower price, or Finding Nemo Family Suites, which are slightly higher, but also closer to the food court, main pool and lobby. The three separate sleeping areas work well for parents, grandparents and kids. Rates range from $335-$415+tax per night in lower seasons and from $440-$540+tax per night in peak and holiday seasons. Unlike the standard rooms at this resort, discounts can usually be found on the suites here. Suites at Disney’s All Star Music Resort offer a slightly different configuration. There’s still the bedroom with queen bed, a living area with double sleeper sofa, twin sleeper chair and twin sleeper ottoman, two bathrooms, and a kitchen area with table and two chairs, microwave, refrigerator, coffee maker, sink and cupboards with paper dishware. Rooms are decorated in the musical themes Calypso or Jazz for the same price. Calypso is closer to the food court, main pool and lobby, but neither is very far from either. With four separate sleeping spaces, these rooms work great for families with kids that don’t want to share beds. Rates range from $250-$315 per night in lower seasons and from $350-$450 per night in peak and holiday seasons. Discounts can often be found here as well. These suites all offer wonderful space to move about so you don’t feel like you are on top of each other. Having the sofa and table set up during the day makes it easier to enjoy the resort room and not have to spend time sitting on the beds, or moving back and forth between connecting rooms. Having two TV’s keeps everyone happy, and there’s no worry that your rooms won’t be close together, or having to split up. The cost of the family suites can easily equal, or in some cases even be greater than, the cost of two rooms at the same resort so the question becomes is it worth it? 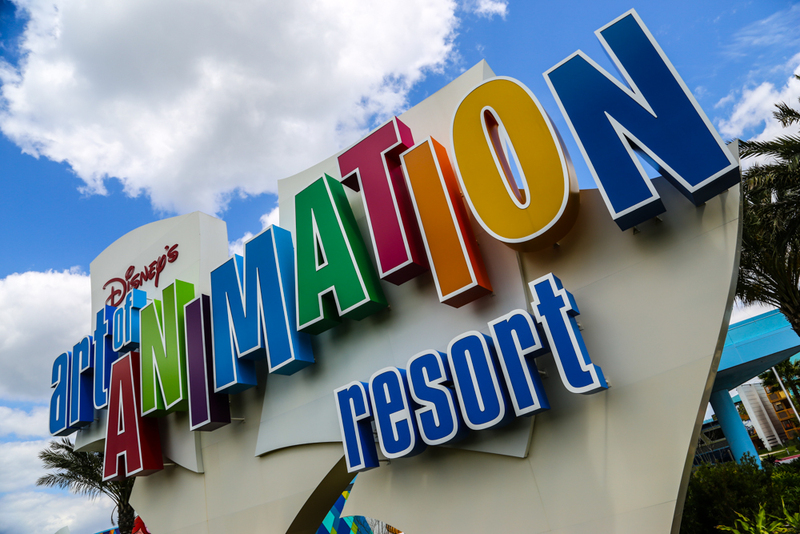 We had four adults at Disney’s Art of Animation Resort last week, and we went back and forth on whether to do one or two rooms, but ultimately decided on the suite. I can definitely say we all felt the family suite was the best choice, and it was certainly worth the cost! We loved the space the suite afforded, the two bathrooms, the table that could be used as a workspace during the day, and the general theme of our Cars Family Suite, which was simply adorable. I can’t wait to make another trip and stay here again! Interested in a no-obligation quote for a Family Suite or any Disney accommodations?